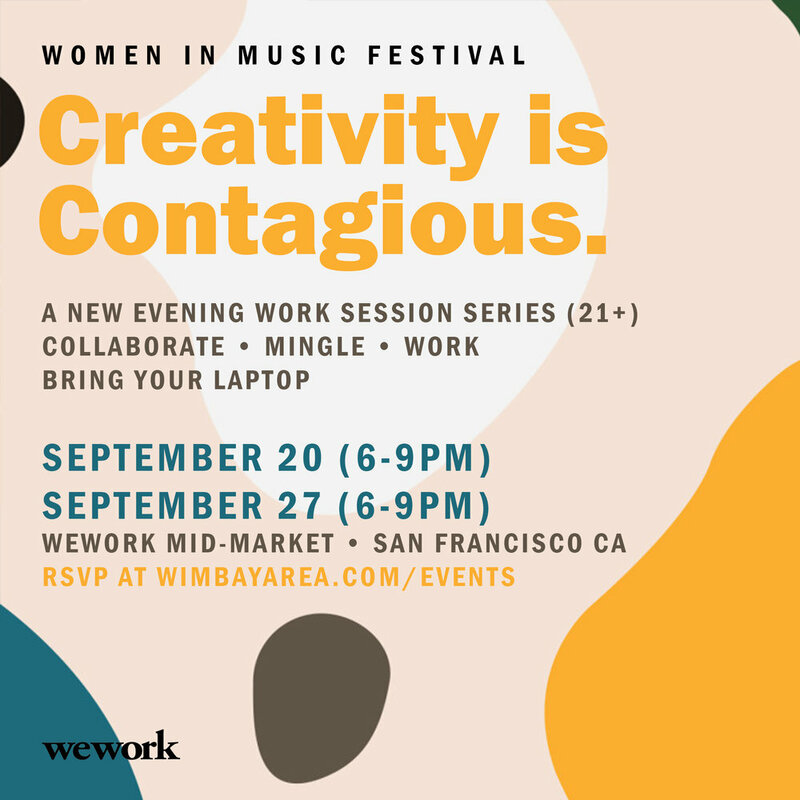 Women in Music and WeWork partner up to bring you a multi-purpose work series rooted in the belief that women who share space together are better off. Our two-session schedule will foster a fun and positive environment that allows women in music, media, and creative fields to form synergies and collaborate. This event is free and open to everyone. RSVP is required for entry. 21+ (wine and small bites will be available). Taking bart? Powell St. is the nearest exit and in walking distance to the WeWork Mid-Market location.